The UK’s leading Healthcare Compliance Consultancy specialising in the ABPI Code of Practice. Services include training, e-learning, interim management, audit, SOPs and final signatory support. Merrill Brink International is a leading provider of life sciences, legal, financial, manufacturing and corporate language solutions for global companies. Influencing positive behaviours and delivering change is what drives us, using thought leadership, education, social and professional engagement and compelling, channel-neutral narratives. In the evolving world of healthcare communications, we are a HYBRID, integrating PR with the best of other disciplines to engage at the macro and micro levels. Page & Page is a new kind of marketing communications consultancy. We change beliefs and behaviours to improve health outcomes through powerful creative and effective communications, without the unwieldiness of a traditional agency model. wethepeople are bringing human appeal back to brand communications. Our approach allows us to create strategies, ideas and experiences that get our clients and their brands recognized, respected, remembered and discussed. 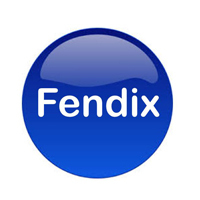 Fendix is the only NHS digital media network and it provides organisations, such as pharma, with unrivalled digital access to healthcare professionals and other NHS staff across multi-disciplinary teams. We are Branding Science Partners in thinking which inspires change in healthcare Branding Science are an award-winning global pharmaceutical market research agency who provide thought-provoking insights that lead to actionable change for our clients.